The home court is where legends begin. 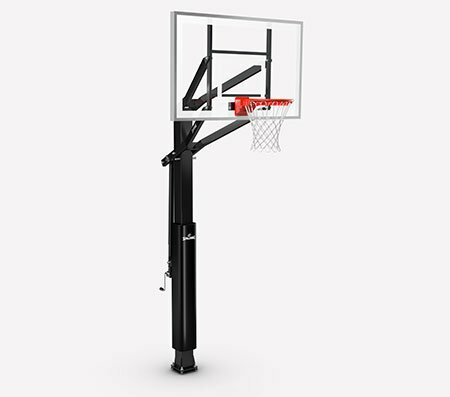 The Spalding Ultimate Hybrid® Portable Basketball Hoop gives you the convenience of a portable system while delivering the high rebound found on the professional court. 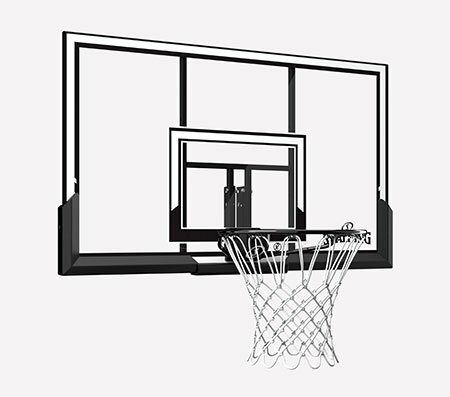 It has a tempered glass or acrylic backboard equipped with arena-style padding and a heavy-duty breakaway rim built for vicious dunks. 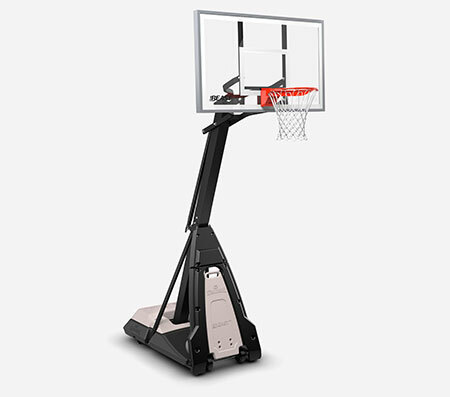 The Screw Jack lift system is simple enough for even the youngest players to use, and the Ultimate Hybrid base takes less time to assemble than a traditional base. It calls for a mix of water and sand, which you can load in with no tilting required. A cover on top keeps the ballast out of sight for a clean look.